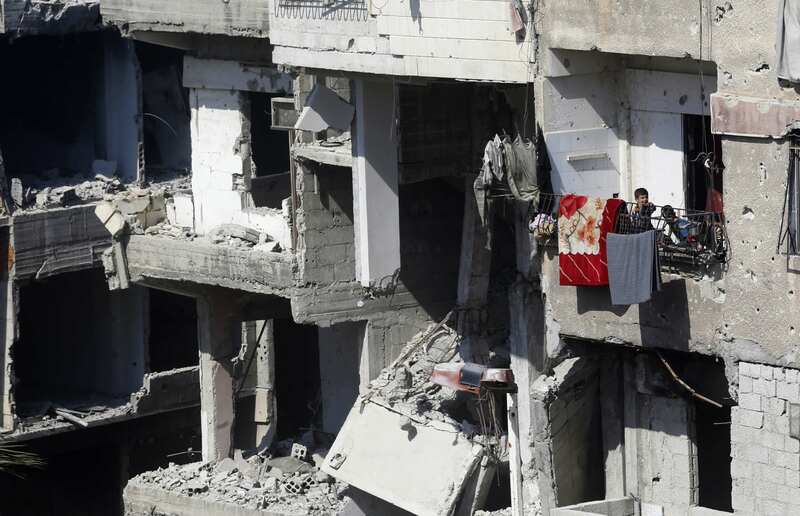 Hassan’s family lost their house during the Nakba, the “catastrophe” of the forced displacement of Palestinians during the creation of the state of Israel in 1948, and ended up living in the Yarmouk camp on the edge of Damascus. Now, some 70 years later, the Palestinian’s family is set to lose their home once again – this time to the Syrian government, under a law that threatens not only refugees, but also Syrians displaced in their millions by the country’s war. 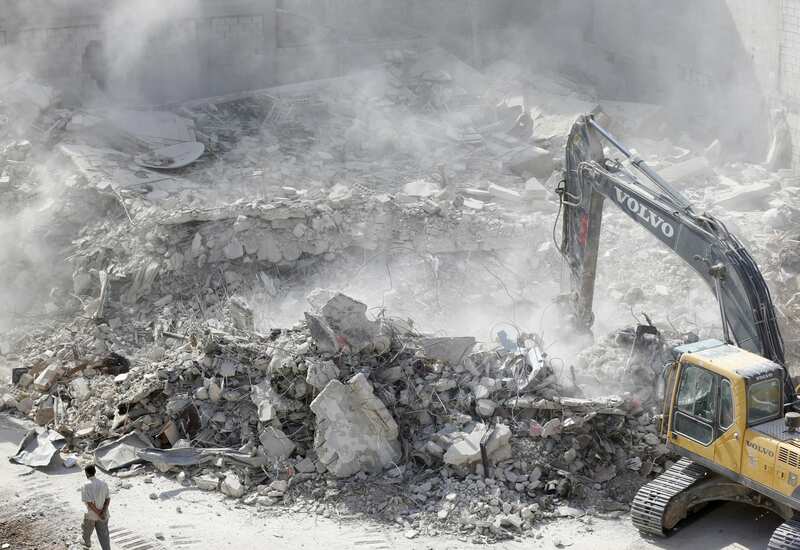 Now living with his family in a relative’s property in Eastern Ghouta, Hassan, 37, has been pressing authorities to allow him to at least begin repair work to his badly damaged house in Yarmouk, the scene of several years of heavy fighting. 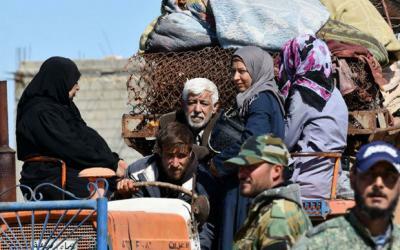 But now, Hassan said, many displaced from the camp had been told that they will lose their homes for good because of Law 10, the Syrian government’s controversial programme allowing local authorities to take possession of properties in the areas worst affected by the war. “I was told to wait and advised not to do any maintenance on the house because architects were going to evaluate the whole camp,” he told MEE. The Syrian Ministry of Public Works and Housing did not respond to an MEE request for comment for this article. Many affected by the law told MEE that the extension to the deadline counted for little because paperwork that would prove their ownership had either been lost or destroyed during the war, or because they faced intractable bureaucracy filing applications from abroad. “I am looking for a solution to what seems to be an impossible mission,” said Moaz, 52, from Aleppo, who like others spoken to by MEE asked that his full name not be used. “Even though the regime hasn’t yet confirmed all the areas that will be affected by Law 10, surely my house, which is inside one of the most devastated areas, will be included,” he said. “After the law was announced, I started looking for solicitors to help me find a way to prove my ownership,” he told MEE. “When I went to the [Syrian] consulate in Istanbul to obtain a paper in order to hire a lawyer back in Syria, I got denied after a security check. The Syrian consulate in Istanbul did not respond to MEE request for comments at the time of publication. 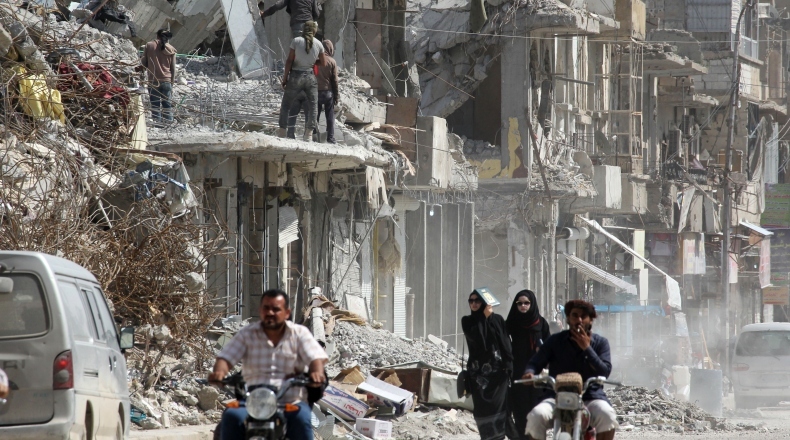 “Ever since this law was announced, our property in the Damascus area is on the edge of being lost,” Reda, 35, told MEE. “As soon as they know my background they say: ‘Even paying a bribe won’t solve this’. 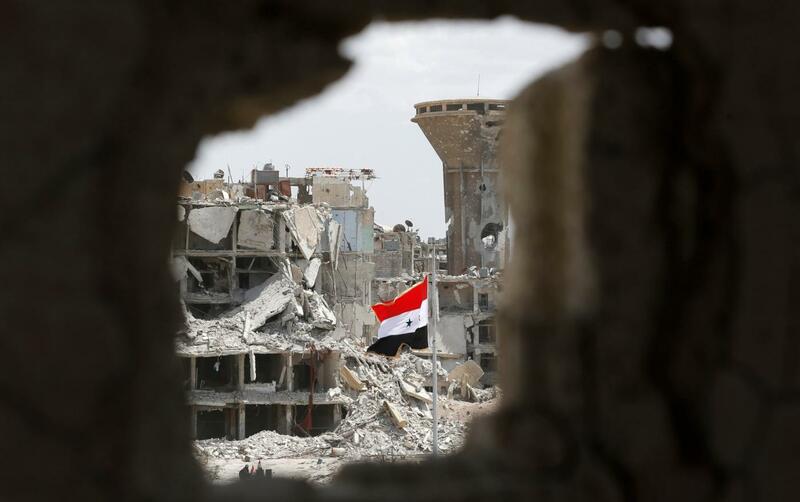 The regime wants to wipe out our existence from the Syrian records,” he complained. Ghazwan Qrenful, the head of the Turkey-based Free Syrian Lawyers’ Council which provides legal advice to Syrians, told MEE that he believed Law 10 was being used to erase opposition in areas of the country that had rebelled against the government. 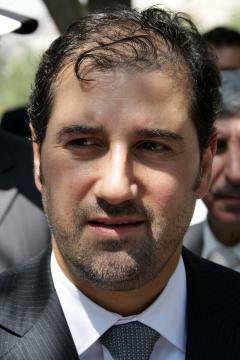 Qrenful, the lawyer, believes that Law 10 violates Syria’s constitution – which forbids the expropriation of property without a court ruling and payment of “fair compensation”. In the 1990s, Solidere – a company in part owned by then-Prime Minister Rafic Hariri, his family and close associates – bought cheaply a majority of the devastated centre of the Lebanese capital, only to turn the area into one of the most expensive areas of the city. In the meantime, civilians like Hassan, Moaz, Reda and Tahsin told MEE that they felt helpless to prevent the loss of their homes. “I’m handcuffed. I can only wait and see what will happen next,” Tahsin sighed.